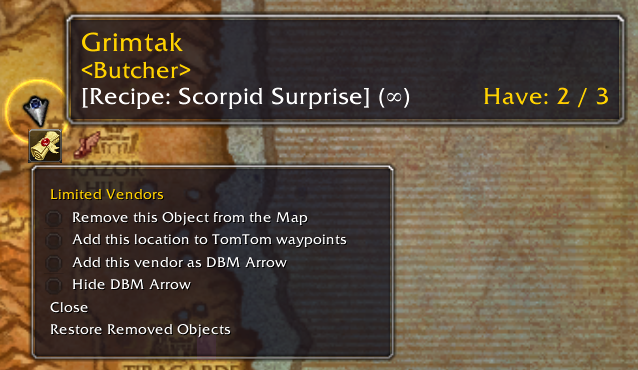 Handynotes_LimitedVendors is a great addon we can use for wow gold farming. 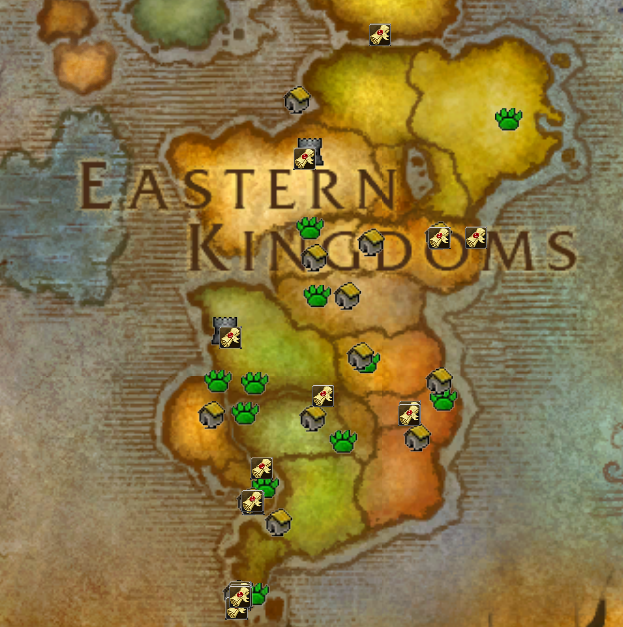 It shows you the location of all limited time recipe vendors on the worldmap, shows their availability, etc. posting it on AH, usually collectors who want to learn every single recipe pick these up. Some recipes like shirt ones sell for quite a bit for the collection and achievement. 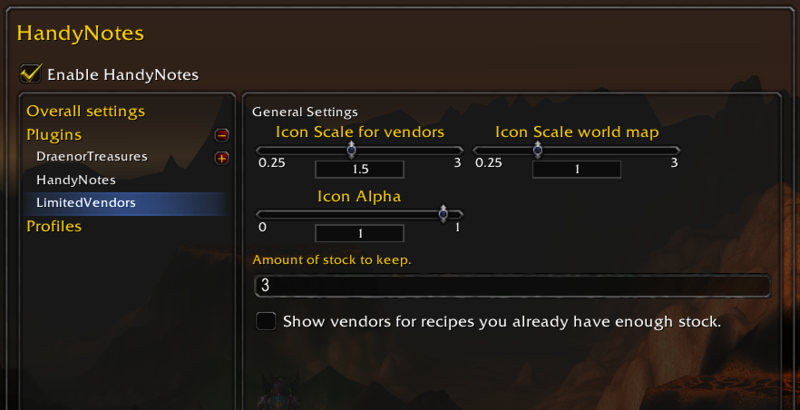 The addon doesn't require TSM but, when using TSM the addon will hide vendors that you do not need to buy any recipes from, this enables the addon to show all vendors when you bought recipes it will hide the notes not required at runtime. Without TSM it will always show everything so get TSM! This addon requires the base Handynotes addon to work I have given the curse link for it below. DWM and TomTom integration for arrows !! !OBS You need TOMTOM and/or DWM TO USE THE ARROWS !!! Credit for the addon goes to Logon from stormspire. Thanks for sharing this , but where do i install these tsm strings? Enter and group name like "vendors" click Okay. Enter the contents of copy into Import string click Okay. Going to try this out right now ! BIG THX! - Heast Dankscheen, Oida des is voi geil!